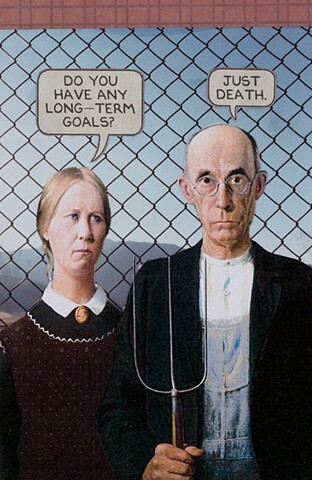 Are the “American Gothic” couple a husband and wife? Siblings? Regardless, one wonders what they might be saying to each other while they pose for their portrait.